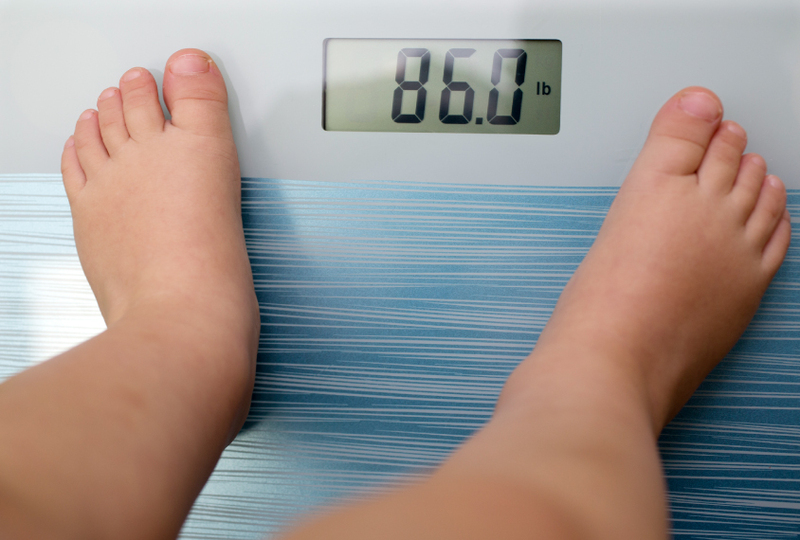 Weighing in: Autistic children aged 2 to 5 have roughly a 60 percent greater chance of being overweight or obese than their typical peers do. The latest study to show that autistic children tend to be overweight suggests that the risk is greatest for those at the severe end of the spectrum1. Autistic children are about 1.6 times as likely as their typical peers to be overweight or obese, the study shows. And autistic children with severe traits have 1.7 times the risk of those with mild traits. “Understanding more about the factors associated with the risk of obesity will help us to guide families and providers in avoiding or managing it,” says lead investigator Susan Levy, medical director of the Center for Autism Research at the Children’s Hospital of Philadelphia. The findings confirm work published in September showing that obesity risk tracks with autism severity. However, that study relied on parent ratings of severity in 750 autistic children; the new work is based on clinician ratings and includes data for about 700 children with autism, aged 2 to 5 years. The findings, published in October in The Journal of Pediatrics, underscore the importance of treating weight issues early in life. “Just like we’re intervening really early to improve social skills, we need to be thinking about weight issues and metabolic issues,” says Deborah Bilder, associate professor of psychiatry at the University of Utah, who was not involved in the study. A second study, also published in October, analyzed the effectiveness of obesity treatments for children with autism. Of the 12 studies included in the analysis, 6 report significant weight loss in children receiving the treatments2. Levy and her colleagues examined data from the Study to Explore Early Development, an ongoing analysis of more than 7,000 children in the United States. They focused on 668 children with autism; 914 children with other developmental conditions, such as developmental delay; and 884 controls. The researchers used height and weight data collected during clinic visits. They combed medical records and interviewed parents to extract information about co-occurring conditions, such as attention deficit hyperactivity disorder, feeding difficulties and sleep problems. They categorized the children as overweight if their body mass index was between the 85th and 94th percentile for their age, and as obese if it was in the 95th percentile or higher. They also rated the severity of the children’s autism traits using a tool called the Ohio State University Autism Rating Scale. Nearly 28 percent of children with autism and 25 percent of those with other developmental conditions were overweight or obese, compared with about 20 percent of controls, the researchers found. Autistic children’s risk of increased body weight remained even when the researchers controlled for co-occurring conditions. The same was not true for children with developmental conditions. “It appears it is the [autism] that is causing this increase in odds of overweight and obesity, not the co-occurring conditions,” Scahill says. The cause of excess weight in autistic children is uncertain, but Levy and others suggest that it has to do with picky eating or physical inactivity, both of which frequently accompany autism. Healy’s study hints at strategies to manage weight in children with autism. He and his colleagues scoured the scientific literature for studies testing drug and behavioral treatments in people with autism. They focused on 12 studies published from 2007 to 2017 that measured weight gain or loss. Six studies tested comprehensive strategies, meaning they included modifications to diet, physical activity and motivation. Of these, three resulted in weight loss in people with autism. Four studies involved physical activity alone; only one of those treatments decreased weight in the autistic participants. The remaining two studies tested the diabetes drug metformin; both showed that the drug halts weight gain triggered by antipsychotic medications. The researchers deemed only one study — a metformin clinical trial — to be of high quality, based on study design and other features. They rated three others as moderate quality and the rest as poor. Another study from Healy’s team, published 16 November, showed that children with autism get less exercise and spend more time watching TV or playing video games than their typical peers do. The findings are based on a survey completed by the parents of 1,380 autistic children and 1,411 controls3. The results suggest that having a television in the bedroom and no limits on screen time detracts from exercise in all of the children. But for the typical children, not having a television in the bedroom and living in a tight-knit community are associated with more frequent physical activity. Neither factor tracked with exercise in children with autism, however. The findings suggest that it is difficult to help autistic children exercise simply by altering their environment. These children may need more substantial supports, such as modified sports programs and trained coaches.